While many shy away from embracing rain, in India the arrival of the monsoon is an event celebrated in a manner almost as joyful as India winning the Cricket Ashes. While traveling in the rain can be a challenge at times, your efforts are well-rewarded by the unique beauty and romance of the season. I’d like share with you some of the best monsoon experiences in the sub-continent. Monsoon chasing is a thing, and nothing compares to watching a wall of water coming to refresh the humid air and wash the ground clear. 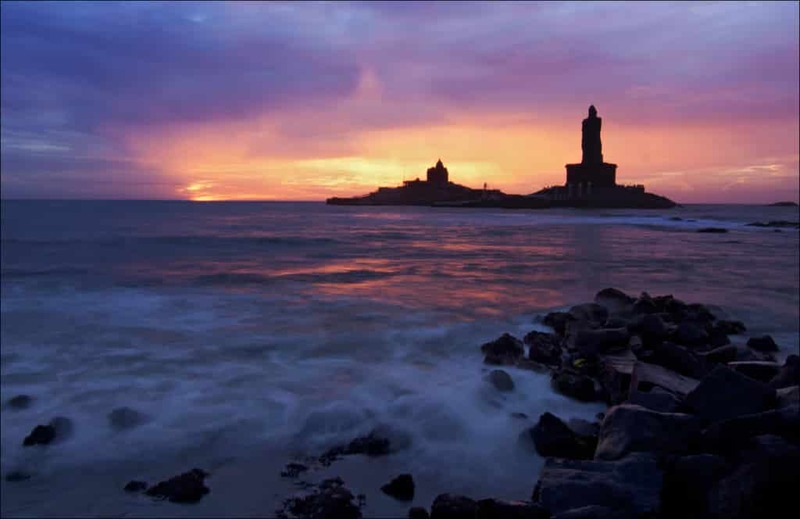 The monsoon begins in the south, and the sacred town of Kanyakumari is a perfect vantage point. This is the southernmost tip of the country, where the east and west converge. Watch as the sunrises and then sets, along with the arrival of the monsoonal rains, then work your way north through the Western Ghats, up to the foothills of the Himalayas, following mother nature as she makes her way across the country. 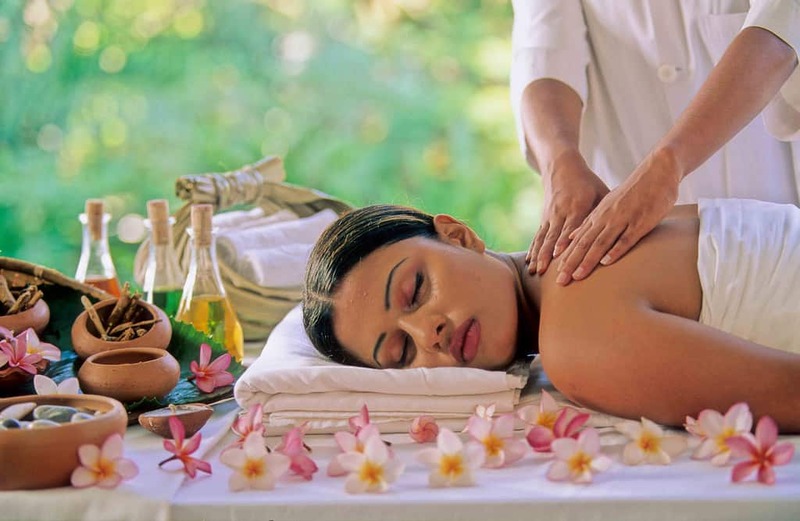 One of the latest trends in ayurvedic treatment is Monsoon Therapy. Many practitioners believe the wet season is the opportune time to balance out your body. And listening to the pitter patter of the rain is also therapeutic for your body and mind. Panchkarma is a popular treatment at this time, incorporating 5 different therapies to eliminate toxins from your body and balance your body. 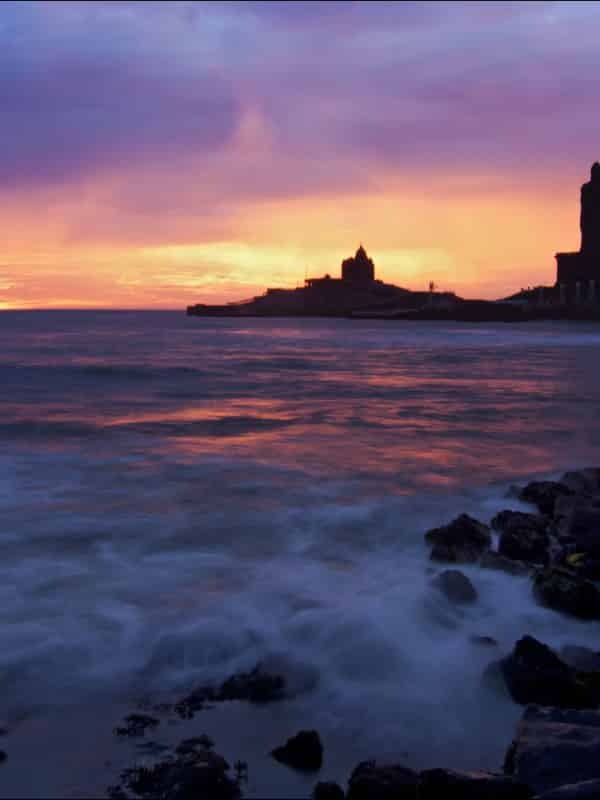 Head to Kerala, where there are many relaxing places to recharge with ayurveda. When it rains it pours, so why not embrace the weather and head to the wettest place on earth, Cherrapunjee in remote North East India. 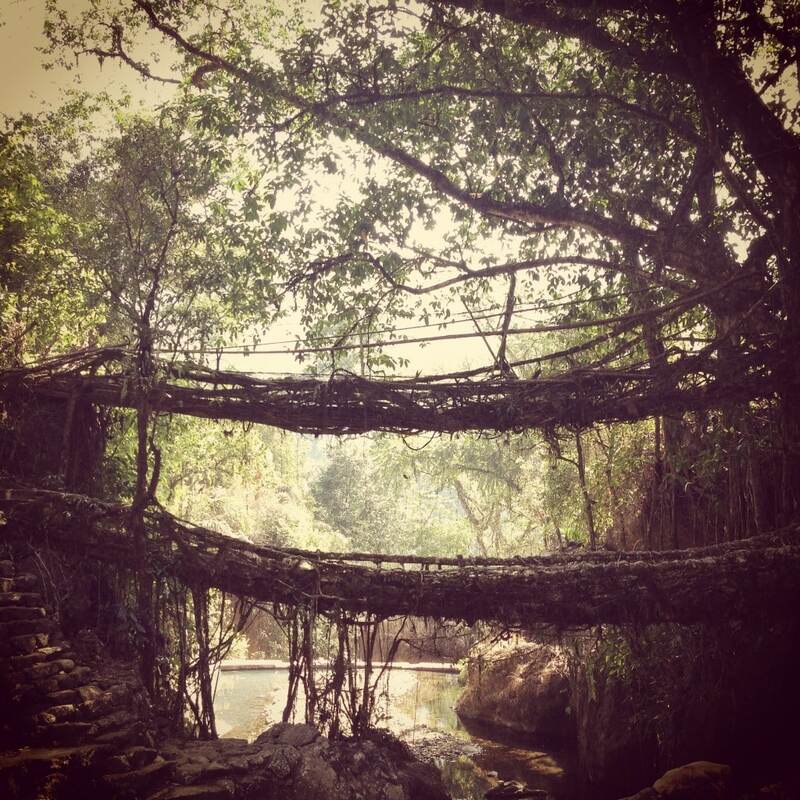 Tucked away amidst the lush forests of Meghalaya, this region is famous for its spectacular living root bridges. A man-made miracle, the roots of the Ficus Elastica trees are carefully guided through betel tree trunks to form a bridge over rivers. A bridge can take up to 15 years to form, and provide passage to the local Khasi community for centuries. Some of the bridges, including the incredible double-decker root bridge, require some trekking. So make sure you have sturdy shoes, a good rain jacket and an adventurous spirit. What could be more romantic than sitting on a verandah, looking out over lush tea fields while the rain comes down? Monsoon is a lovely time to explore some of India’s beautiful tea plantations. From Munnar in the south to the hills of Darjeeling, each region has its charm and of course, you’re guaranteed the best cup of tea hands down. 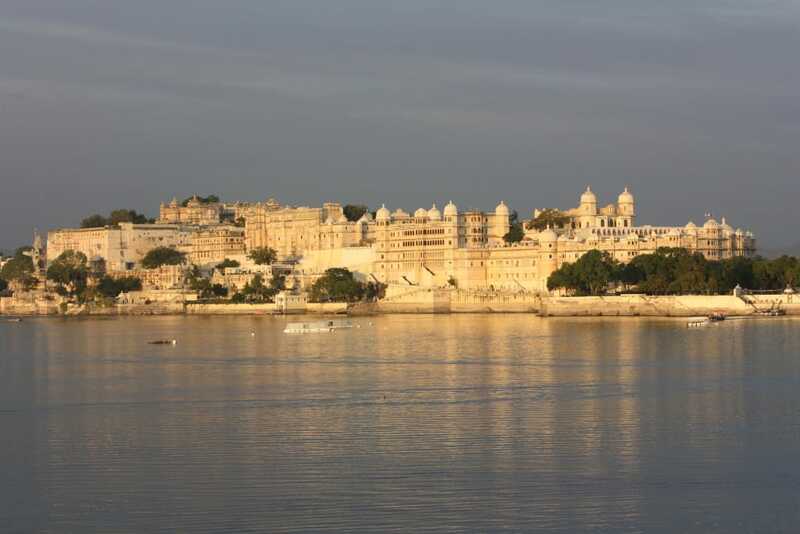 Last but not least, it would be remiss of me not to mention the magnificent Lake City of Udaipur. Sit inside a palace and watch as the water staccatos across Lake Pichola. Whether you’re on the mainland or have a vantage point from the luxurious Taj Lake Palace Hotel, the view is mesmerizing.